While working on a presentation about cultural transmission, I did some exploration in the archaeological literature about patterns of word usage over time. The patterns are about what one would expect. 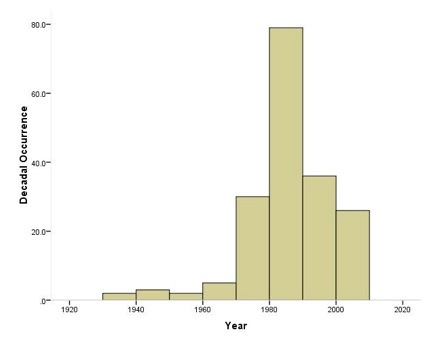 Here is a graph of the occurrence of "social" and "ecology" by decade in the pages of American Antiquity from 1936 to the present. This is, obviously, telling us something about the nature of discipline. Conclusions are left to the reader.